A cloudy but mild morning saw seventeen walkers travel down the nicely potholed Shell Road 6 to gather at the new RSPB car park at the Crook of Baldoon for the walk. Two potential new members were warmly welcomed. I drove Cath, Thomas and Isobel to Bladnoch and took the left turn off after going over the bridge so drove along a very rutted back road – a BIG mistake – but this eventually joined the road along which I should have driven. This was not a lot better until it merged into the gravel one installed by the RSPB which ended at the car park for the reserve at the Crook of Baldoon. 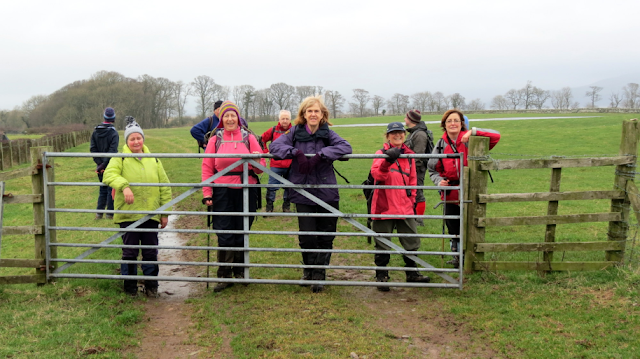 We met the other walkers – Mary, who was our leader for the day, Duncan, who was designated her back up as Andrea was unable to come owing to her succumbing to a cold, Irene, Audrey, Ken (welcomed back after a short absence), Jim, Allan, Rachel, Claire, Anne, John (two poles) and two new walkers from Stanraer, Jane and Tony – 17 of us in all. 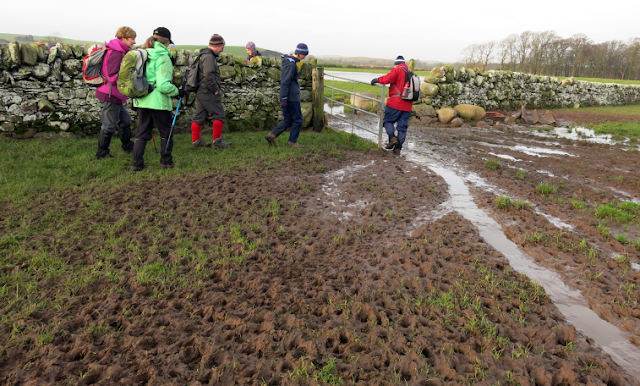 The walk began on the muddy flood bank track south alongside Baldoon Sands. We followed the muddy and often difficult track beside the marshy ground which edges Baldoon Sands, for quite a long way, passing a tree which has been the nesting place for Osprey. A platform had been installed high up to encourage its nesting but this was ignored in the summer of 2012, to the disappointment of many bird watchers. 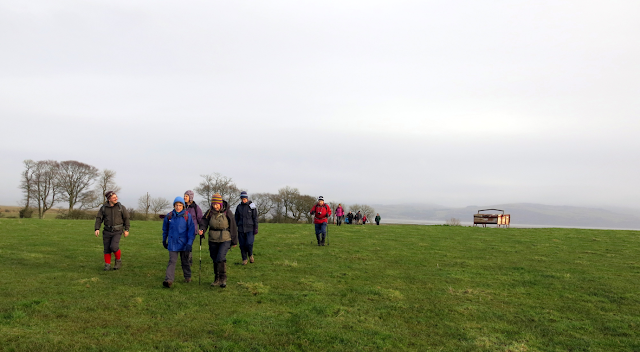 Passing the remains of what was the 'Tracked Target Range' of the former Wigtown R.A.F camp they continued along the salt marshes until they reached the Skellarie Plantation. Here, a swampy burn was crossed to gain access to a grassy field leading up to Dunroamin Farm. 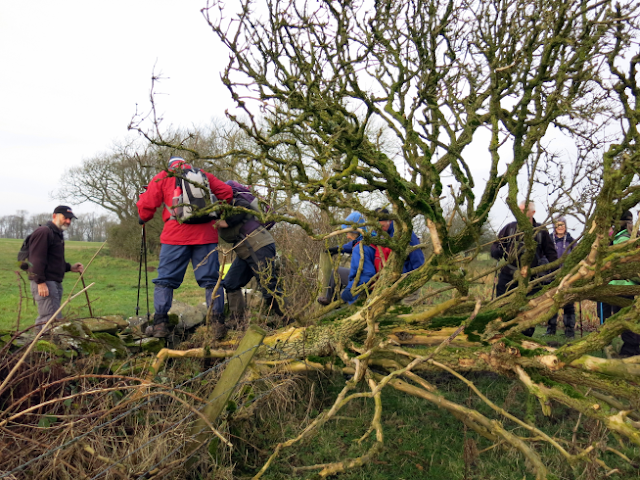 The burn was easily crossed and a double barbed wire fence was negotiated with the help of a fallen tree and by John who was there to aid our balance on some slippery stones as we entered a field. 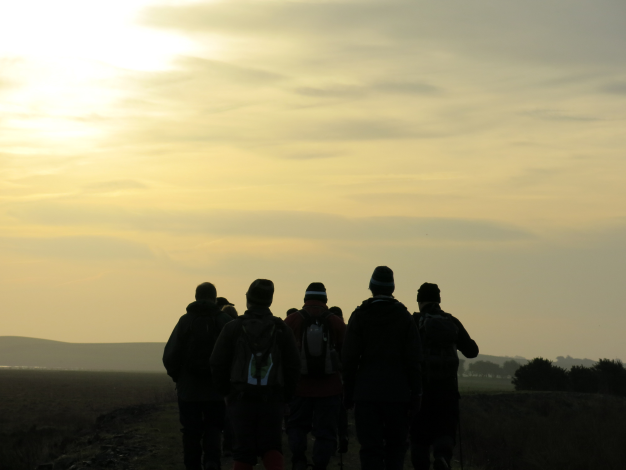 Sweets were distributed before we crossed the field, skirting some sheep which had watched our progress and headed for the gateway on the other side. 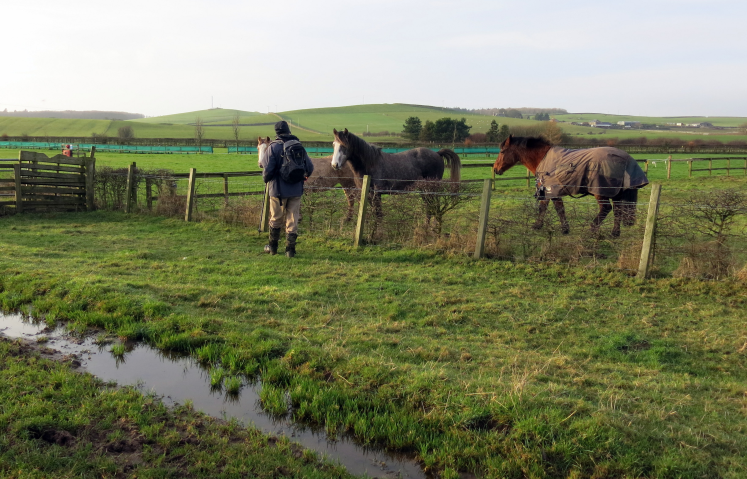 Some friendly horses in adjoining fields came up to the fences to say hello. 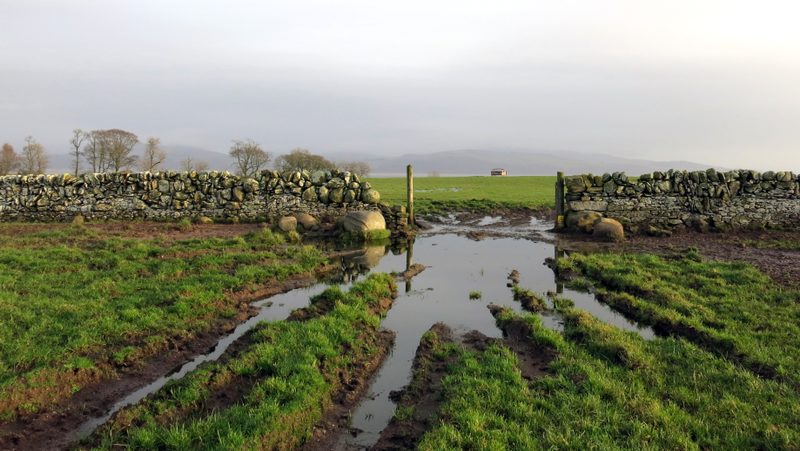 Evidence of the recent poor weather could be seen in the many pools of flood water scattered over the fields. A small but noisy skein of geese passed overhead. From Dunroaming Farm a tarmac road now led through South Balfern Holdings and up to the B7004 Garlieston Road. Crossing the road below Turkey Hill, the site of a water reservoir and a 20 m high mobile phone mast, Kilsture Forest was entered. A short stop saw the distribution of a selection of sweeties brought along by the walk leader. 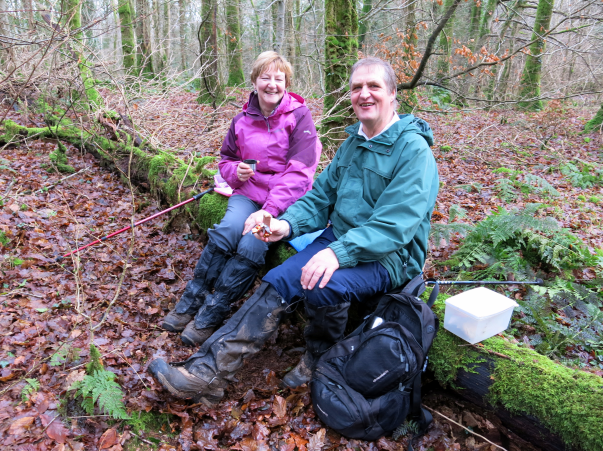 There are two waymarked trails in Kilsture Forest, the Woodpecker Trail and the Deer Trail. Today the Deer Trail was taken. 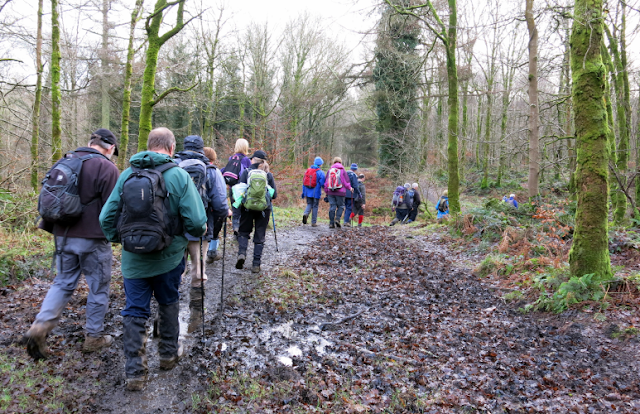 The dominant feature of this mixed woodland today was the moss and fallen leaves covering much of the forest floor. An amateur botanist in the group explained and showed the difference between bracken and fern. 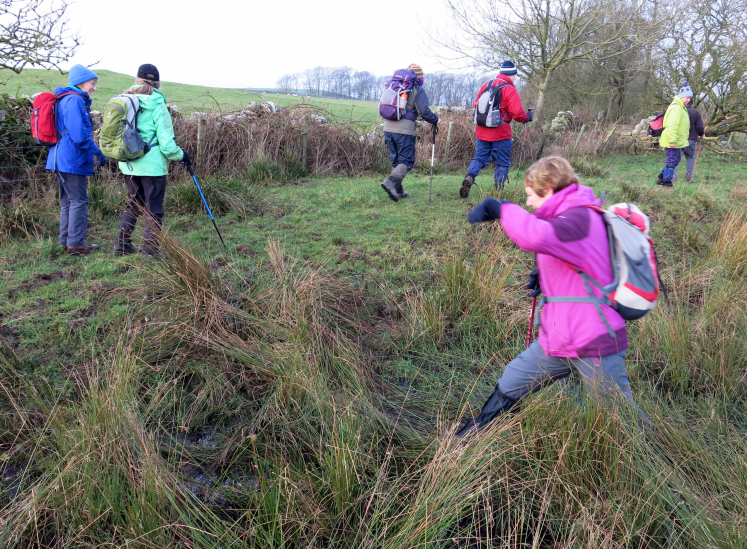 The walk continued along the often muddy track, passing reflective almost mystical pools and seeing the occasional flitting of birds. 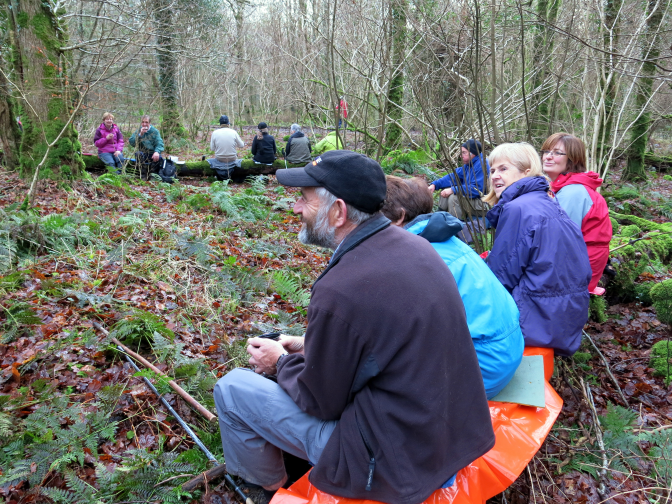 Shortly before reaching the outward loop of the Deer Trail, a lunch break was taken, a lush section of fallen branches provided excellent seating. A deer was spotted hurriedly leaping across fallen trees to make a quick getaway from these interlopers. Constant rain over the weeks had turned the tracks into ones of mud, mud and more mud but the group happily negotiated some of the wider and wetter sections until a good lunch spot was found. 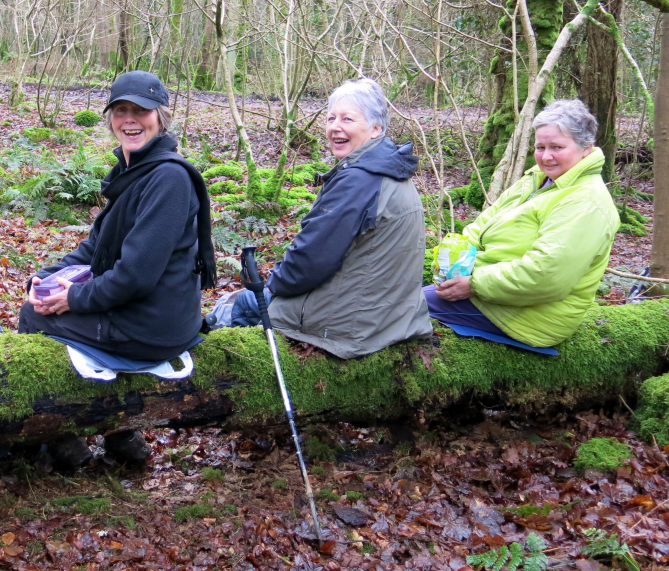 Fallen trees covered in soft moss were excellent seats for us all and moving on seemed to be difficult for some – maybe too many of us were still trying to eat up Christmas leftovers!? 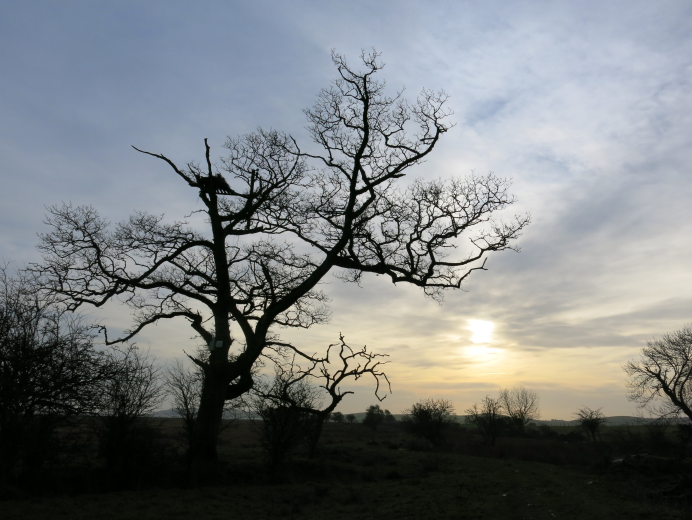 We were enjoying the mild weather which accompanied some blue sky and more than occasional sunshine – for the first Saturday in what seems to be a very long time! 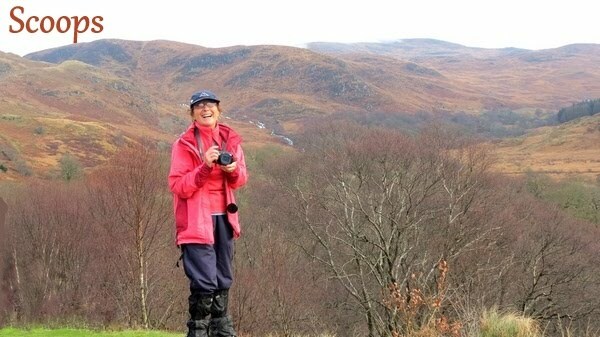 After lunch the outward point of the walk at Hazelbank was reached. There is a number of Dawn Redwood trees at this loop, but were somehow missed by the group. The Deer Trail now looped back north towards the car park. Along here were some fascinating fungi on the forest floor which got the cameras clicking. Like miniature red egg cups they were later identified as Scarlet Elf Cup (Sarcoscypha austriaca). 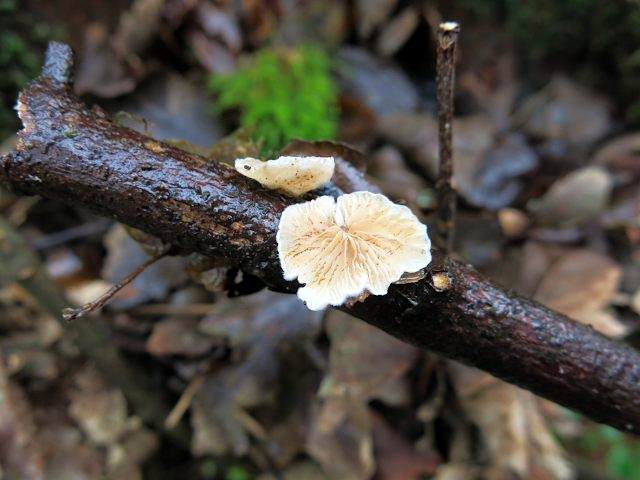 More tiny white fungi with an oyster gill were later identified as Variable Oysterling (Crepidotus variabilis ). The former delicious, the latter deadly! ‘I have had a bit of fun with identifying the fungus. 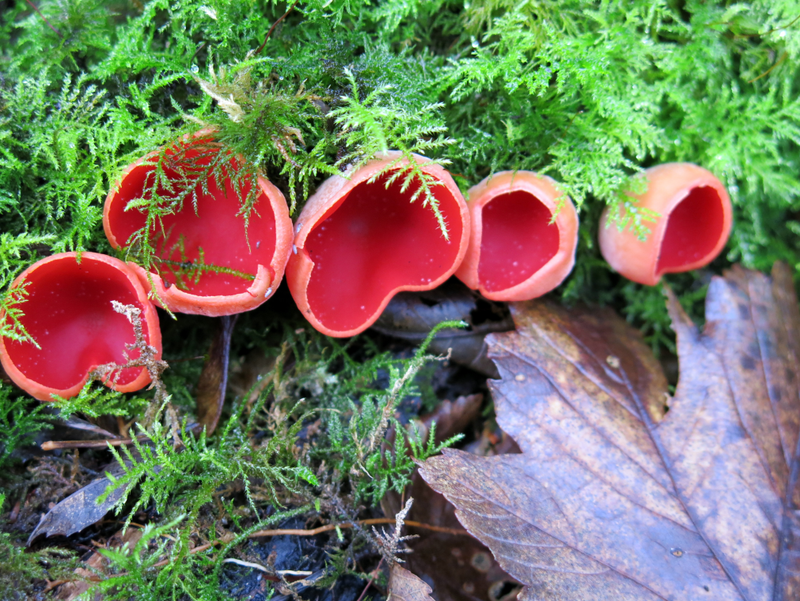 It is a Scarlet Elf Cup of which there are two species in the UK. The difference between the two is found in the microscopic hairs found on the pale outside of the cup. Sarcoscypha austriaca has curly hairs and Sarcoscypha coccinea has straight hairs. Because we took a specimen I was able to examine it and you cannot see hairs with the naked eye. I made up a slide and examined it under my microscope. The hairs are like corkscrews so it is Sarcoscypha austriaca which is actually the commoner of the two. Apparently it is edible but I don’t fancy trying it.’ Thanks, Rachel. 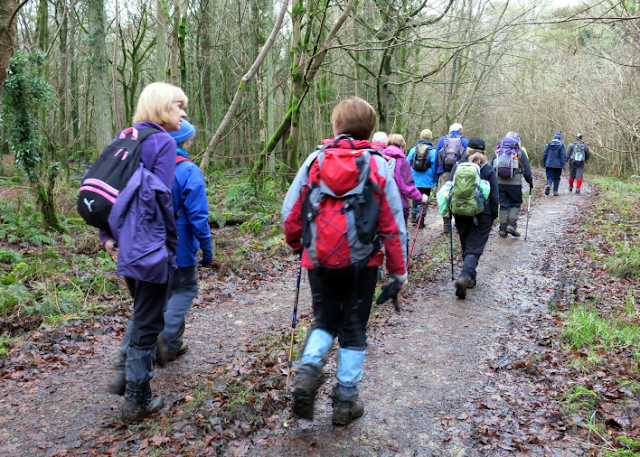 Once back at the forest car park the group now retraced their route back to Dunroaming Farm from where they took a farm track back to Shell Road 6 and back to the walk start point. 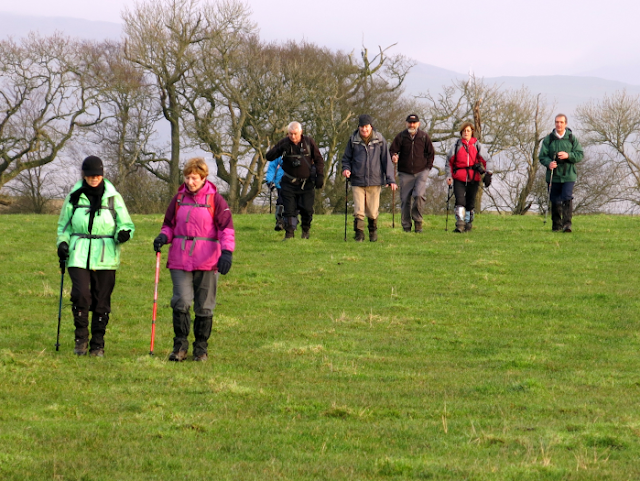 To finish an enjoyable and dry day's walking, coffee, tea, scones and other delicacies were enjoyed at the Wigtown House Hotel in the Bayview Nursery. We were amazed to be met with platefuls of cakes, including really good scones, and lots of cream! Since it seemed that we had a fixed price for our drinks and cakes, many of us ate more than we would otherwise have done and came away overfull but very content!!! Well done Mary – great walk, great weather and yummy cakes!